A 2-day Workshop on the topic Ontological Status of the Perceived World was conducted jointly by GAIIT and Karnataka Sanskrit University (KSU) at KSU, Bengaluru on the 4th& 5thof Mar 2016. 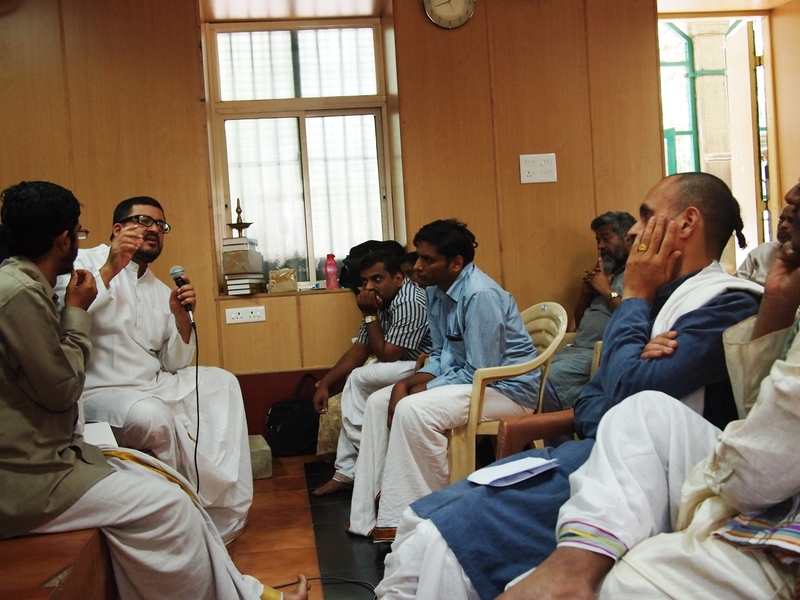 The Workshop was attended by over 35 scholars of Nyaya and Indian Shastras. In the first part of the Workshop, the scholars were introduced to Western theories of perception and ontologies of the perceived world starting from Ancient Greek philosophy to Contemporary philosophy with special emphasis on Scientific Realism / Representationalism. During the second day of the Workshop, there was a lively discussion on the challenges posed to the Indian tradition by modern and post-modern theories as also on how the Indian tradition may respond to these theories. The Workshop was very useful both in exposing the traditional scholars to contemporary views as also in stimulating discussion aimed at promoting the Indian logical tradition to confront and critically analyze contemporary theories. The Workshop was sponsored by Rashtriya Chemicals and Fertilizers Ltd and Samskriti Foundation. The infrastructural facilities were provided by Karnataka Sanskrit University.